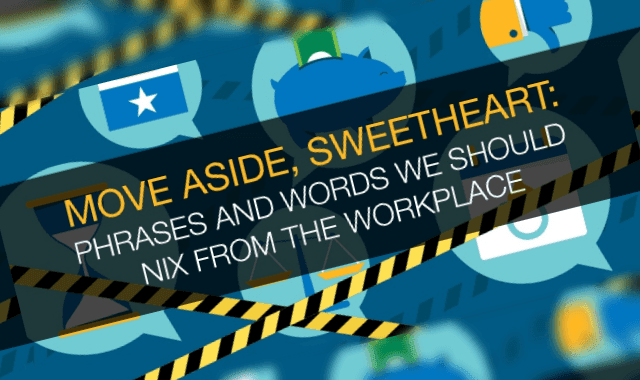 Move Aside, Sweetheart: Phrases And Words We Should Nix From The Workplace #Infographic ~ Visualistan '+g+"
Words are powerful. They communicate a lot about our character, priorities, and work ethic—sometimes without us even realizing it. They can persuade someone to be on our team and embrace our ideas, or they can alienate other people and contribute to workplace tension. At their best, words can inspire creativity, collaboration, and positivity. This infographic explains why it’s so important to choose your words carefully, especially at work.